Samsung and Verizon can check the Galaxy Tab 7.7 off of their Ice Cream Sandwich update list, as the build of LP10 was approved this morning with changelogs posted. 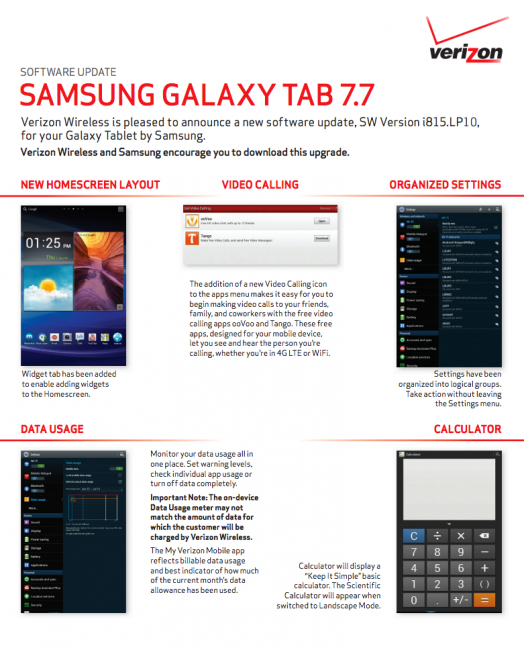 The update brings the tablet up to Android 4.0.4, still includes Samsung’s TouchWiz UI, a data usage meter, new calculator, new homescreen layout, more organized settings, a redesigned gallery app with photo editor, Face Unlock, new music app, desktop view in browser, and more. 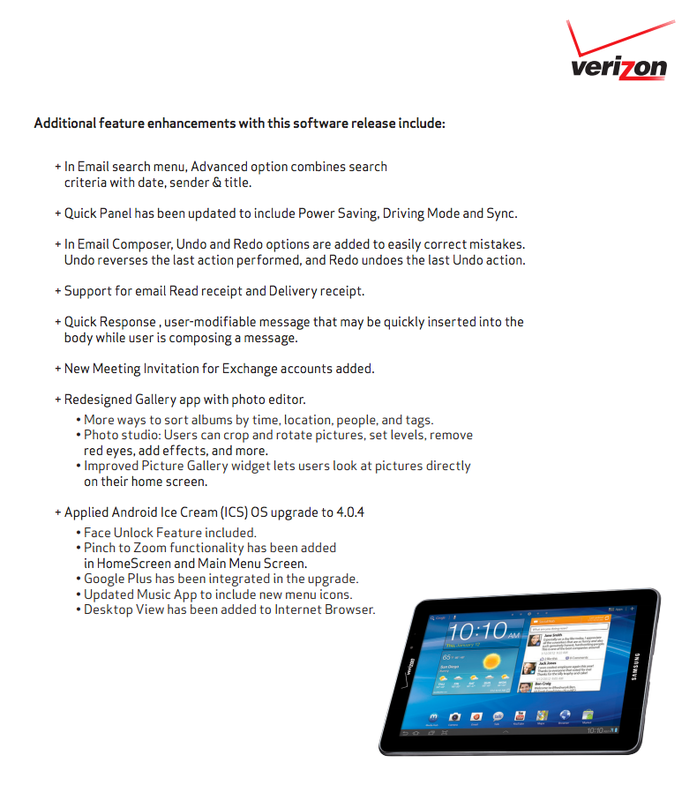 The jump from Honeycomb to Ice Cream Sandwich is substantial, so be sure to update to this as it becomes available. Usually when these support documents go live, the update rolls out to users within a week. Let us know if you see it! The update is 283MB in size.